FT Logistics Global Services Nig. Ltd., on Thursday said it needed approval from the Lagos State Government to operate a truck holding bay at the Trade Fair Complex, Badagry Expressway. The Chairman of the company, Chief Chris Orode, made the appeal in an interview with the News Agency of Nigeria (NAN) in Lagos. Orode said the request was made known when a team of transport management agencies visited the proposed terminal on a fact-finding mission on Wednesday. He said the fact-finding team comprised the Chief Executive of the Lagos State Transport Management Authority (LASTMA), Mr Chris Olape and officials of other traffic management agencies in the state. Orode said the team was impressed with what they saw at the facility and promised to advise the government on the need to convene a stakeholders’ meeting to reach a conclusion. ``The team was on a fact-finding mission to see for itself what is on ground. ``This can prompt the take-off time because it is evident that the needed facility is here. ``It is good that all the traffic management agencies are here, so that they can have a common picture of the project and how it can work,’’ he said. Orode said that the truck terminal, which measures 300,000 square metres, would accommodate at least 5,000 trucks. He, however, said the firm still considered the need to build a new entry and exit gates dedicated for the trucks. He said the facility was equipped with office spaces to accommodate the various traffic management agencies as operational bases. 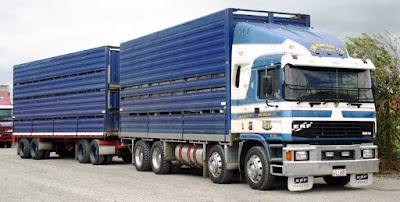 FT Logistics Global Services Nigeria Ltd., recently held discussions with the Nigerian Ports Authority on a proposed collaboration for an electronic call-up system for trucks. The initiative is to have trucks come to the port only when called up, rather than come around to scout for jobs and clog the port access corridors.